A short historical study by Peter Enns. The question of the date of writing Genesis is not new; it is central in modern university studies of the Bible since the seventeenth century. Unfortunately, this academic development is often considered largely negative, as if it hindered a consensus opinion set for several thousand years among Jews and Christians. The modern academic study of the Bible is far from being beyond criticism, and there have been some dramatic excesses that had no precedent in the pre-modern period. But it is wrong to suggest that a universal and fixed consensus has suddenly been attacked by academics. The modern academic study of the Pentateuch does not come from nowhere; the paternity of the Pentateuch as a whole posed some problems to readers of the centuries preceding the modern period. Having a glimpse of the date of writing the Pentateuch helped some readers today to understand why it was written. This question of why is important when the discussion turns to the question of the relationship between Genesis and modern science - be it cosmology, geology, or biology. The more we understand what the author of Genesis wanted in writing it, the better we will be able to say to what extent Genesis is compatible or not with modern science. To make false assumptions about what is expected of Genesis is perhaps the only and greatest obstacle to a fruitful discussion between science, especially evolution , and Christianity. This test is limited in scope. Above all, it is a descriptive historical survey of some of the problems surrounding the question of the date of the Pentateuch and the way this question has been answered. 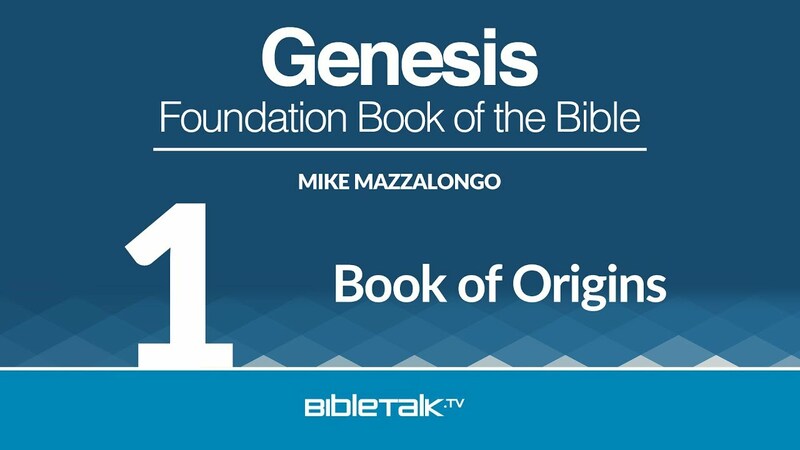 There will always be differences of opinion about the specific answer to this question but there is a strong and general consensus today among Bible scholars that it is important to understand when trying to understand Genesis: the Pentateuch as we know it is the end product of a complex literary process - written and oral - which ended only in exile (586-539 BC) and the post-exilic period. The Pentateuch as we know it is a response to the crisis of exile, and much of the Old Testament seems to be able to be explained as well. 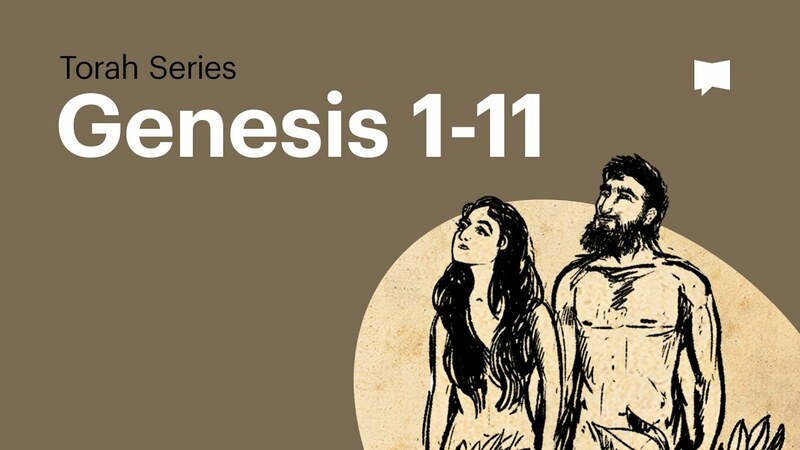 To understand a little bit about why we have a Bible will help today's Christian readers think more theologically about the best way to engage Genesis as the word of God when the subject turns to compatibility between Genesis and evolution. How is it possible that the concept of Israelite kingship is mentioned before Israel exists as a nation? These and other questions arise from careful reading, not from skepticism. Some faithful readers of the Bible have been pondering some of them since the days before Jesus. The long history of Jewish and Christian biblical interpretation has been anything but shy about these issues. Any self-respecting theological library has rows and rows of comments and other books on how Genesis has been interpreted in the last 2000 years, which seems to show that, faced with a myriad of interpretive challenges, it has always been necessary to put a lot of energy and creativity [i]. Answering these questions eventually led to the modern study of Genesis and then the Old Testament as a whole. With regard to Genesis, modern scholars have brought the question much further than their predecessors, and these efforts can be judged on their own merits. But modern academics did not create the problem - it was the Pentateuch who created them. Let us concretely illustrate the questions that the Pentateuch raises by two problems discussed in the pre-modern period: one concerns Deuteronomy and the other Genesis . "Moses began to explain this law and said … "
It is not Moses who writes it but someone else (see also 4: 41, 44 and 5: 1, for example). Insisting that Moses writes about himself in the third person circumvents the implications of what the text says. Moreover, neither the beginning nor the end of Deuteronomy allows Moses to be its author; at least one former interpreter, whom we will meet soon, has noticed. But first we need to clarify the problem. "These are the words that Moses spoke to all Israel on the other side of the Jordan." (see also 1: 5). Once again, it is a commentary on Moses in the past. Notice also that the one who writes seems to have reached Canaan when it is not the case of Moses (see Nb20: 12 and Deut.32-48-52), which seems to indicate clearly that Moses is not responsible at less of the definitive form of Deuteronomy. Some have tried to save Moses' fatherhood by saying that the phrase translated from Hebrew by "be-heber hay-yarden" is a conventional geographical term - as East River "or" South Central Los Angeles "today (these are in the east or south center regardless of where the speaker is). So perhaps "on the other side of …" simply means "Jordan is" which leaves open the possibility that Moses was the author of Deut. 1: 1-5. But it is highly improbable. First, we have the dubious scenario of a Moses writing about him in the third person and in the past. Then the same sentence in Hebrew is found in Deut. 3: 25 and 11: 30, sentence pronounced by Moses and referring to the promised land, that is to say west of the Jordan. In other words, "on the other side of the Jordan" means exactly what is said: the side where I am not. It is a relative geographic term, not a fixed term. "No one has known his sepulcher until this day. " "There has not appeared in Israel a prophet like Moses." This observation makes no sense if there is only one, two, three or four generations gone. The full gravity of verse 10 is lost if one does not presume that much time has passed - even after all this time, no one has appeared like Moses. It is clear that a writer tells us what Moses said and did a long time ago. So who wrote Deuteronomy? The Father of the Church Jerome (347-420), without great elaboration, offers a sober explanation of the story of the death of Moses - and this explanation can be found in several forms in later interpreters. "To this day" of Deuteronomy 34: 6 refers to the time of Ezra, Jerome proposes - the return of Babylonian exile towards the middle of the fifth century BC. [Iii] He does not say that Ezra is at the origin of the whole book, nor that it is at the origin of anything other than this verse. He also does not tell us why he chose a post-exilic character rather than Joshua, David, Solomon, or someone closer in time. Anyway, Jerome saw a problem that needed an explanation and proposed one. He was not at all adamant and did not seem particularly attached to defending his opinion. He did not attack the Bible at all, suggesting that Moses did not write this verse. He exercised his common sense. Ibn Ezra enigmatically refers to a "mystery of the twelve" concerning writing by Moses. The Spinoza philosopher of the seventeenth century (see below) understands it as referring to Deut. 27 and Jos.8: 37, where the whole book is engraved on an altar of twelve stones. Apparently, the "book of Moses" was small enough to fit on a small space and therefore could not include all the Pentateuch. Ibn Ezra feels that the third person narrative of the life of Moses poses a problem for the hypothesis of an author Moses, quoting Deut.31: 9 ("Moses wrote this law"). According to Gen.22: 14, the mountain of God is called Moriah Mountain. Moriah is only mentioned in 2 Chronicles 3: 1 as the place of the temple. Quoting this, Ibn Ezra may have thought that the reference to Morija in Genesis is anachronistic. The writer of Genesis lived much later and placed this reference to the Morija Mountain in the time of Abraham to legitimize the place of the temple. According to Deut.3: 11, the iron bed of Og, king of Bashan, nine cubits long remained in Rabbath. For Ibn Ezra, this sounds like the explanation of an ancient relic. He attributes this comment to the time of David who conquers the city in 2S12: 30. Ibn Ezra seems to have thought that a paternity of the Pentateuch at the time of David would explain it in part. Biblical critics will later adopt a similar position, since the time of David and Solomon was a time of relative peace, a time favorable to the composition of a national history. Later research suggests that this era of the young monarchy was only the beginning of a drafting process that would end only after the exile, an idea that Ibn Ezra could not adopt in the context that was his. Another point is raised by Ibn Ezra: the difficulties of the Pentateuch are numerous, they do not concern a verse as for Jerome. If it only scratches the surface, Ezra's list will raise important questions for scholars of the coming centuries: is the Pentateuch an essentially mosaic document that has only been updated here and there, or do these examples indicate when the Pentateuch and Genesis were written as a whole (no earlier than in David's time)? Spinoza argues that only the post-exilic priest Ezra can be responsible for it, even a priest chosen by Jerome about 1300 years ago. But Spinoza explicitly makes Ezra responsible for the entire Pentateuch (not to mention Joshua at 2 Kings). In this sense, the idea of Spinoza is much more radical than those supported before him, and the importance of the post-exilic period for long extracts of the Pentateuch will continue to ricochet throughout the history of biblical exegesis to today. However, Spinoza's position is not yet a comprehensive theory of how the Pentateuch became what he is . Such a theory was still a few generations away and will bring with it the true aspect of modern biblical criticism. Modern criticism of the Old Testament really begins only about a century after Spinoza. The questions on Genesis are the driving force, one of them especially: why does God have two names in Genesis? It is not an exaggeration to say that the answers given to this question gave rise to the modern study of the Pentateuch. The one who is generally credited with this revolution in biblical criticism was a professor of medicine and Louis XV's physician, Jean Astruc (1684-1766). He seems to have been quite hardworking. In addition to teaching and healing the French monarch, Astruc also read a lot of Hebrew and came up with a theory on Genesis that became the foundation of all academic research after him. Astruc was not trying to make a name for himself in the history of biblical exegesis , he was just curious to understand why God had two names in Genesis. 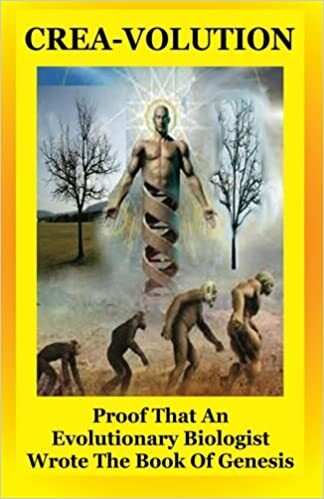 The first chapter called it Elohim (Hebrew word translated by God), chapters 2 and 3 named it Yahweh Elohim (translated by Eternal God in most French translations), and the beginning of chapter 4 called it Yahweh (Eternal). He found it interesting that the difference in names coincided with the different perspective of creation that these chapters presented. He wondered if he could discover a larger scheme and began a systematic analysis of Genesis. He concluded that the best way to account for the two names of God was to postulate the existence of two independent documents originally that he named A ( Elohim ) and B ( Yahweh ). Astruc thought that these documents were ancient memories that Moses had taken and arranged together. In other words, Moses was the publisher of Genesis. When these memories overlapped in what they said, he would put them side by side (as in Genesis 1 and 2) or weave them together (as in the story of the Flood). Astruc was not particularly interested in the post-mosaic elements of Genesis that occupied Spinoza and Ibn Ezra. He focused his attention on the pre-mosaic elements of Genesis. Since Moses had lived hundreds of years after the last events told by Genesis (and more than two millennia after the events told in Genesis 1-11 according to a literal reading of the chronology of Genesis), he certainly could not be a witness of these events. Astruc wondered how Moses could know them. By divine revelation, perhaps? Unlikely, thought Astruc. No information is presented as revealed to anyone as in the law's data or the inspiration of the prophets. For Astruc, Genesis was a chronicle that could be found elsewhere in the Pentateuch or the historical books, and Moses had written as a simple historian who had in his possession these two memoirs. As biblical scholars continued to reflect on Genesis and the idea of Astruc's memoirs, or " sources, " they noticed that the patterns that Astruc had seen in Genesis could be found in the Pentateuch . This meant that Astruc's theory of the sources of Genesis could also be applied to the Pentateuch. This changed the game because it meant that 1) there was a major editorial process that combined documents originally separated to make up the whole Pentateuch and 2) that it must have happened after Moses since the Pentateuch possessed post-mosaic elements recognized for a long time. From Ibn Ezra and Spinoza, who emphasized the problems of the Pentateuch, we went to a theory that explains how these problems came to light. The theory of Astruc was the key: different documents written by different authors compiled later by a publisher - only it was no longer Moses who only published Genesis, but someone much later who edited all the Pentateuch. The following generations of Old Testament exegetes would work with this model to seek the best explanation of the properties of the Pentateuch. Theories have been proposed - some accepted, others rejected, others modified - until a peak in the nineteenth century (see below). Another very important development in the Bible study takes shape with the search for sources that preceded the Pentateuch: the exegetes begin to focus on the historical circumstances that gave rise to these sources. The Pentateuch is read, not as we tell the story of Noah , Abraham or Moses , but as telling us the historical circumstances of the individual writers of the sources. The importance of this shift can not be overstated in the history of modern Bible study. The Pentateuch and the Bible as a whole do not just tell events in a neutral way, but tell us what writers understood or believed about these events. The historical value of the Bible must be extracted below the surface of the text and corroborated by external sources, textual and archaeological. This view of the historical value (or lack of historical value) of the Old Testament is one of the main reasons why some see modern biblical exegesis with much suspicion. So far, nothing shocking given the academic climate. But Wellhausen did not just find sources and stop there. He was much more controversial. Wellhausen maintained that the publisher compiled these sources after the return from exile without trying to respect the integrity of the originals, nor their chronological order. In fact, he had cut and pasted sources together led by an astonishing, even disturbing, theological agenda (which we arrive at in a moment). Which brings us to the particularity of Wellhausen's explanation of the Pentateuch: the Pentateuch obscures the real history of Israel. Wellhausen claims to have rediscovered the real history of Israel 1) by unraveling the original documents 2) by placing them back in chronological order. In other words, Wellhausen reconstructed the history of Israel, and that's what made his work so controversial. Even the conservative exegetes recognized that there were several sources to the Pentateuch (although they assigned the work of edition to Moses like Astruc). But for Wellhausen, the sources interpenetrated each other, and his analysis was only the first step in a larger program, as the title of his book indicates: Prolegomena zur Geschichte Israels . Two features of Wellhausen's theory are of particular interest to us. First, the oldest document (J) was written about half a millennium after Moses, the traditional author of the Pentateuch. So even the oldest parts of the Pentateuch are far from the time of Moses. Then all that is legal and ritual (P), given to Moses on Mount Sinai after Exodus - which is most associated with Moses - was written last, about a millennium after Moses. These four sources were arranged in the Pentateuch by a post-exilic publisher, rather a priest, who according to Wellhausen had a program: he wanted to place the law at the beginning of Israel's history. The editing work was only a partial success, as there are clues that people like Wellhausen claim to have found - such as anachronisms or theological contradictions. Others have noticed, but Wellhausen has proposed a comprehensive and persuasive theory to explain them. It is easy to understand what made Wellhausen's theory controversial. But it is not finished. What D started was carried with more force by P. There, Wellhausen sees priests go crazy, make all kinds of regulations for what should be sacrificed and when, how much, and for what reasons (see Leviticus). We are far from Abraham building altars out of devotion for Yahweh who appeared to him there. P is a pure and simple legalism and according to Wellhausen, would finally give birth to Judaism, a religion completely contrary to the spirit of free religious expression of J and E. The priestly legislation and the Judaism that came were a religion different from what the Old Testament itself was really describing - if it is possible to decipher the clues left in the text, which it claims to have done. [xii] For Wellhausen, the law was not the point starting from the history of Israel, but that of the history of Judaism. Wellhausen's theory is creative and persuasive, but not without problems, and I'm not trying to say the opposite. In fact, elements of his theory were put in trouble right after he proposed it. For example, the notion that priestly interests are totally the product of post-exilic Jewish legalism is impossible to maintain. The importance of the post-exilic period for the Pentateuch is still an academic consensus, but what occupied the Wellhausen source P (laws, priests, religious rituals) has been part of the Near East for a long time and even before Israel does not exist. Archaeological discoveries made it possible to discover it after the Wellhausen period, which makes it perhaps forgivable for having spoken so hastily. But no one today claims that the Jewish legality of the Pentateuch appeared only after exile. De même, Wellhausen prétend que les prophètes ne connaissaient pas P : cette idée ne permet pas de rendre compte de la théologie d'Ezéchiel qui ressemble à P en certains endroits, suggérant ainsi que les questions sacerdotales ne sont pas que post-exiliques. Il semble y avoir aujourd'hui un consensus général selon lequel l'auteur de D était aussi conscient des problèmes sacerdotaux. Certains universitaires se sont aussi demandés si J et E sont des documents différents. Plus simplement, les sources ne peuvent pas être séparées et datées aussi simplement que le pensait Wellhausen. D'autres théories ont été proposées peu de temps après Wellhausen qui ont forcé certains ajustements ou allaient dans une autre direction. [xiii] Il n'y a aujourd'hui pas de théorie qui soit universellement reconnue sur la question de la naissance du Pentateuque. Certains universitaires vont jusqu'à dire que le champ est dans un état de chaos. It's both true and false. La critique des sources est toujours une théorie dominante enseignée dans des universités et séminaires partout, mais tout le monde ne s'accorde pas sur les détails, et la critique des sources est souvent proposée avec d'autres méthodes. Cela dit, cependant, le travail de Wellhausen a été central dans la mise en place de l'étude académique moderne du Pentateuque : le Pentateuque tel que nous le connaissons n'a pas été écrit d'un seul morceau par un Moïse du second millénaire, mais est le produit fini d'un processus littéraire complexe – écrit, oral – qui ne s'est terminé qu'après le retour de l'exil. Sur ce point il y a peu de désaccords. De fait, la période post-exilique n'est pas cruciale que pour le Pentateuque. Quand a été écrit l'Ancien Testament et pourquoi ? Si nous examinons l'Ancien Testament dans son ensemble, même brièvement, ce que nous avons vu sur la date de la Genèse sera mis en relief. De même qu'avec le Pentateuque, les périodes exilique et post-exilique jouent un rôle important dans la formation de l'Ancien Testament. Malheureusement, les chrétiens pensent souvent que la « période biblique » s'étend de la Genèse à la chute de Jérusalem et à la déportation d'Israël à Babylone dans 2 Rois 25 (environ 586 av.JC). C'est l'essentiel de l'histoire, avec Esdras et Néhémie et quelques autres prophètes mineurs qui forment un post scriptum post-exilique et terminent la triste histoire par une fin tragique. Selon cette caractérisation, les périodes exilique et post-exilique deviennent une sorte d'âge obscur postbiblique : tout ce qui valait la peine de connaître est déjà arrivé. Israël a échoué, il est temps de passer à autre chose. En vérité, c'est cette période dite postbiblique qui est la période biblique, c'est-à-dire la période durant laquelle l'Ancien Testament hébreu tel que nous le connaissons aujourd'hui a pris forme en tant qu'ensemble définitif de textes sacrés. Il est clair qu'Israël a archivé, raconté encore et encore des parties de sa propre histoire – à l'écrit et à l'oral – des centaines d'années avant l'exil. Peu le contrediraient. Il est cependant improbable que les archives des anciens exploits, de la cour politique et des poèmes fussent considérés comme « Ecriture sacrée » à l'époque. C'est un développement plus tardif qui a été motivé par la crise nationale d'Israël. L'exil a été l'événement historique le plus traumatique et du coup le plus influent de l'histoire ancienne d'Israël. Les Israélites se considéraient comme le peuple choisi de Dieu : on leur a promis la possession perpétuelle du pays, le temple glorieux comme lieu d'adoration et qu'un descendant de David serait assis à perpétuité sur le trône (2S7 :4-16). Avec l'exil, cette promesse touche à sa fin soudaine et dévastatrice. L'exil à Babylone n'était pas un inconvénient. Il signifiait pour les Israélites que leur relation avec Dieu avait été interrompue. Dieu ne pouvait plus être adoré comme il le demandait, dans le temple de Jérusalem. La connexion d'Israël avec Dieu était coupée : ni pays, ni temple, ni sacrifices, ni roi. Au lieu d'exhorter les autres nations à reconnaître le vrai Dieu, ce qui était l'appel d'Israël, Israël a été humilié par ces nations. Au lieu des nations accourant vers eux, ils deviennent esclaves dans un pays étranger. Israël devient étranger à Dieu. La question centrale que se posent les Juifs exiliques et post-exiliques était : « Sommes-nous toujours le peuple de Dieu ? Après tout ce qui est arrivé, sommes-nous toujours reliés aux Israélites des temps anciens, avec qui Dieu parlait et à qui il montrait sa fidélité ? » Leur réponse à ces questions a été de raconter leur histoire à partir du commencement et de leur point de vue post-exilique, ce qui signifiait éditer des travaux plus anciens et en créer de nouveaux. La création de la Bible hébraïque, autrement dit, est la définition que se donne Israël en tant que nation et peuple de Dieu comme réponse à l'exil babylonien. Ce qui suit est une brève description de ce qui est de l'ordre de la production des périodes exilique et post-exilique dans l'Ancien Testament dans son ensemble. L'histoire du Deutéronomistexv raconte l'histoire d'Israël de la mort de Moïse jusqu'à l'exil babylonien et la remise en liberté du roi Joachin (environ 561 av.JC), ce qui signifie que ces livres n'ont atteint leur forme finale qu'à la période exilique voire un peu plus tard. Bien que dépendant sans aucun doute de documents et traditions plus anciens (par exemple : Le livre des annales des Rois et de Juda [1R15 :23] et d'Israël [1R15 :31]), la réalité de l'exil a donné forme à la façon dont l'histoire d'Israël est racontée. 1 et 2 Chroniques, Esdras et Néhémie sont des livres historiques post-exiliques. 1 et 2 Chroniques donnent une perspective post-exilique à l'histoire d'Israël. Esdras et Néhémie racontent le retour d'Israël au pays après la captivité babylonienne. D'autres détails indiquent que ces livres ne pouvaient être écrits plus tôt que la seconde moitié du 5 e siècle av.JC. De même, Esther ne pouvait être écrit avant le milieu de ce siècle, puisque le récit a lieu pendant le règne du roi perse Xerxès. A cause de ses nombreuses et célèbres difficultés historiques, le livre est en général daté entre le 4 e et le 3 e siècle av.JC. En ce qui concerne les livres poétiques , peu contredisent l'évidence linguistique d'une période post-exilique pour l'Ecclésiaste. Certains proposent même la période hellénistique, c'est-à-dire après la conquête d'Alexandre le Grand en 332 av.JC. Même en accordant un tronc salomonide (encore en débat parmi les chercheurs), le livre des Proverbes a des auteurs multiples et une histoire éditoriale qui s'étend jusqu'à Ezéchias au moins (686 av.JC ;voir Pr.25 :1). Le livre en tant que tout n'a atteint sa forme finale qu'après Ezéchias, c'est-à-dire une période pré-exilique tardive. Beaucoup de chercheurs considèrent qu'il y a de bonnes raisons de dater les Proverbes pendant la période post-exilique (bien que le cadre du livre des Proverbes soit un problème épineux). Il n'y a pas de consensus clair sur la date du livre de Job si ce n'est des dates qui vont de 700 à 200 av.JC, précédé peut-être par une tradition orale plus ancienne. La forme finale du psautier est un grand sujet de discussion. Il a clairement une forme intentionnelle : il y a 5 livres au psautier, ce qui imite le Pentateuque. Cet arrangement n'a pu être déterminé qu'après l'exil, puisque certains psaumes présument l'exil (Ps.137 par exemple). Le Cantique des cantiques est notoirement difficile à dater, en partie à cause de l'absence de toute référence historique. Certains soutiennent que des preuves linguistiques indiquent une date post-exilique, alors que d'autres voient les parallèles entre le Cantique des cantiques et la poésie amoureuse égyptienne indiquent une date aussi ancienne que le 10 e siècle av.JC. Pour le temps présent, il vaut mieux rester ouvert aux différentes possibilités. Parmi les livres prophétiques , Jérémie, Ezéchiel et Daniel supposent clairement la chute de Jérusalem (en 586av.JC). Pour certains, le livre d'Esaïe est controversé. Les chapitres 40-66 semblent supposer que l'exil est un événement passé par opposition à la prophétie (42 :22-25 ou 47 :6 par exemple). C'est l'un des quelques facteurs qui ont conduit les universitaires à conclure qu'Esaïe a été écrit à travers les siècles jusqu'à longtemps après l'exil, ce qui signifie que la forme finale du livre vient de cette période. Aussi, il y a eu beaucoup de travail ces dernières années sur les douze prophètes mineurs. Les universitaires voient de plus en plus clairement que ces livres sont un produit littéraire collectif (appelé « Le livre des Douze »). Au moins Ezéchias et Malachie (Aggée probablement aussi) ont clairement été rédigés pendant les période exilique et post-exilique. L'ensemble définitif date de la période persienne, si pas plus tard. Une conclusion forte des études universitaires modernes de l'Ancien Testament est qu'en tant qu'ensemble d'écrits sacrés, l'Ancien Testament est un phénomène post-exilique. Encore une fois, très peu d'universitaires nient une préhistoire – dans certains cas, une très longue préhistoire, orale ou écrite – à au moins quelques parties de l'Ancien Testament. Il y a aussi quelques parties de l'Ancien Testament qui ne peuvent être datées avec certitude. Pour autant, il existe un consensus académique fort selon lequel l'exil et la période post-exilique ont joué un rôle vital dans 1)la production de nombreux livres ou parties de livres et 2) l'édition finale de textes plus anciens. Israël n'a pas formé son ensemble de livres sacrés par un intérêt académique dépassionné de quelques scribes, mais comme la déclaration d'une définition de soi d'un peuple hagard qui prétendait – et désirait – avoir une relation spéciale avec leur Dieu. La Bible a été composée pour raconter de l'histoire ancienne pour des raisons contemporaines : qui sommes-nous ? Qui est notre Dieu ? Qu'ont les deux à faire l'un avec l'autre ? Les questions qui ont conduit à la formation de l'Ancien Testament sont les mêmes qui ont occupé les esprits et cœurs des gens de foi depuis. La Bible propose le modèle de ce processus qui amène le passé pour aider à supporter le présent. Comprendre comment le Pentateuque est venu au jour et l'importance de la période post-exilique dans sa formation ainsi que dans celle de l'Ancien Testament ne sont pas des problèmes mineurs. Ils nous réorientent vers les questions que l'on a le droit de poser à la Bible dans son ensemble et à la Genèse en particulier, ce qui se trouve être la moitié du dialogue entre l'évolution et le christianisme. L'exil a conduit Israël à écrire une fois pour toutes une déclaration officielle, « Voilà qui nous sommes et le Dieu que nous adorons ». L'Ancien Testament n'est pas un traité sur l'histoire d'Israël au nom de l'histoire, et certainement pas un livre d'intérêt scientifique, mais un document de définition de soi et de persuasion : « N'oubliez pas par où nous sommes passés. N'oubliez pas qui nous sommes – le peuple de Dieu. " La Genèse et les récits de la création en particulier doivent être compris à l'intérieur de ce cadre. Les récits de la création n'ont pas été écrits pour nous donner une information qui peut être extraite dans des buts scientifiques, et on ne peut pas non plus s'attendre à y trouver de quoi répondre à des problèmes de la science moderne. La Genèse et les récits de la création font partie d'un ensemble plus large d'écrits, théologiquement dirigés, qui répondent à d'anciennes questions de définition de soi, et non à des questions contemporaines scientifiques. Dès lors, les lecteurs chrétiens d'aujourd'hui ne devraient pas engager la Genèse dans l'arène scientifique. Ils sont plus fidèles à la Bible lorsqu'ils suivent la trajectoire des Israélites post-exiliques et se posent leurs propres questions identitaires en tant que peuple de Dieu : en vue de qui et d'où sommes-nous, que nous disent ces anciens textes sur nous, peuple de Dieu aujourd'hui ? Le moment de crise nationale d'Israël a conduit leurs théologiens à engager de façon créative leur passé. La vision de l'Eglise de cette même histoire a aussi été formée à un moment décisif – non une crise mais la Bonne Nouvelle, l'apparition du Royaume des Cieux et du Fils de Dieu. Ce moment a formé la façon dont les auteurs de Nouveau Testament ont compris l'histoire d'Israël – il a forcé une nouvelle interprétation de cette histoire. Ils croyaient que Jésus était le point focal de ce drame. De fait, démontrer que Jésus confirme et reforme cette histoire est le cœur et l'âme du Nouveau Testament. Ses auteurs font écho à la question pressante des Israélites post-exiliques : en vue de quoi est-ce arrivé, que signifie être le peuple de Dieu ? En répondant à cette question, le Nouveau Testament fait constamment référence à l'Ancien – environ 365 citations et plus de 1000 allusions. [xvi] Dans chacune des citations et allusions nous voyons les auteurs du Nouveau Testament au travail, repensant et transformant l'histoire d'Israël en vue de ce que Dieu a fait en Christ. Le moment définitionnel pour les auteurs du Nouveau Testament reste le même pour les chrétiens aujourd'hui. L'Ancien Testament – y compris la Genèse – est le document qui définit l'Eglise théologiquement remis à la lumière de l'apparition du Fils de Dieu. Une appropriation correcte et contemporaine des documents identitaires d'Israël, dès lors, est théologique et non scientifique. Réduire la Genèse à un livre scientifique n'est pas seulement scientifiquement étrange – c'est aussi ne pas embrasser la trajectoire théologique posée tout au long de la Bible chrétienne. [iii] Le commentaire et son contexte peuvent être trouvés dans The Principle Works of Jerome (Nicene and Post Nicene Fathers of the Church, vol.6 ;trans. WHFremantle ; Edinburgh :T&T Clark, 1989), 337-338. [iv] Ibn Ezra's Commentary on the Pentateuch :Genesis (Bereshit) , (trans. H. Norman Strickman and Arthur M. Silver; New York, NY; Menorah, 1988), 151. Ibn Ezra défend la même idée propos de Gn 13:7. [v] Spinoza soutenait que l'interprétation biblique appartenait à tout le monde, pas seulement à l'élite dirigeante, et que la lumière naturelle de la raison suffisait pour le faire. Il n'y a pas de place pour une autorité externe, que ce soit l'Eglise ou Dieu. Défendre cette thèse servait un enjeu politique pour Spinoza : il voulait défier les structures de pouvoir religieux de la Hollande, dont il est natif, structures qui étaient attachées aux structures politiques (d'où le Traite Théologico-politique ). Affaiblir la Bible signifiait affaiblir le gouvernement. Faire tomber les chaînes de l'autorité ecclésiale était le thème de la Réforme Protestante un siècle plus tôt. Certains historiens laissent entendre que la critique biblique moderne, ironiquement, n'aurait pu se développer sans ce que la Réforme avait mis en mouvement. [vi] Cette citation (en anglais) est tirée de la version éditée par Jonathan Isral pour les Cambridge Texts in the History of Philosophy (Cambridge : Cambrigdge university press, 2007), p.122. La disucssion commence p.118 et continue jusqu'à la page 125. Thomas Hobbes (1588-1679) a précédé Spinoza de quelques années en imprimant son idée selon laquelle Moïse n'était pas le rédacteur du Pentateuque entier ( Léviathan , 1651), même s'il pensait que Moïse avait écrit Deutéronome 12-25. Il est le premier Européen à mettre à l'écrit cette idée et comme Spinoza n'était pas seulement intéressé par une discussion théologique pour elle-même mais par enjeu politique. [viii] Introduction à l'Ancien Testament (5 vol. ), 1780-1783. Un pasteur allemand, HB Witter, est arrivé à des conclusions similaires plus tôt au XVIIIe siècle, mais son travail était vraisemblablement inconnu à Astruc. [ix] Wellhausen est ici influencé par le travail d'un collègue allemand universitaire, spécialiste de l'Ancien Testament, Karl Heinrich Graf (1815-69 ; Die geschichtlichen Bücher des Alten Testaments [Les livres historiques de l'Ancien Testament], 1866), avec des différences d'opinion. [x] Ici Wellhausen est influencé par un autre collègue allemand, Wilhem Vatke (1806-1882 ; Die Religion des Alten Testaments nach den kanonischen Biichern entwickelt [La religion de l'Ancien Testament d'après les livres canoniques], 1846). Certains ont même soutenu qu'une telle « progression » historique reflétait l'influence d'une pensée de l'évolution et peut-être même celle de la philosophie de Hegel (1770-1831), qui enseignait que l'histoire progressait vers des synthèses de plus en plus hautes. La théorie de Wellhausen, cependant, d'une « évolution » du Pentateuque du simple au complexe n'était probablement pas directement influencée par Darwin. [xi] La façon dont Wellhausen comprend D est largement dépendante du travail de WML de Wette (1780-1849), qui soutenait que la « découverte » du « livre de la loi » sous Josué dans 2R 22 :8 était de la propagande politique. De Wette soutenait que le livre du Deutéronome avait été écrit à cette époque pour développer l'unité politique et religieuse sous le règne de Josué. [xii] L'antisémitisme de Wellhausen, très répandu à l'époque, est à peine voilé ; il n'est pas surprenant qu'un universitaire juif réfère au travail de critique radicale de Wellhausen comme à un « antisémitisme radical » (Solomon Schechter, « Higher criticism – higher anti-semitism », in Seminary Addresses and other Papers , [Cincinnati : Ark Publishing, 1915], 36-37). Ironiquement, Wellhausen croyait vraiment rappeler l'Ancien Testament au christianisme en faisant du légalisme une pensée postérieure et non le cœur de la foi d'Israël. La théologie luthérienne de Wellhausen l'a probablement influencé à cet endroit, avec sa tendance à faire des distinctions entre la loi et la grâce. Le légalisme de D et de P obscurcit la grâce de la première rencontre d'Israël avec Dieu en J et E. La grâce de l'Evangile est plus en phase avec J et E.
[xiii] Par exemple Hermann Gunkel (1862-1932) soutient dans son commentaire de la Genèse paru en 1901 que les traditions orales, naissant à l'occasion de contextes sociaux et historiques et pré-datant toute source écrite, étaient un facteur précieux qui permettaient de comprendre la formation du Pentateuque.